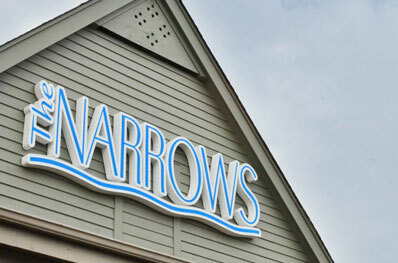 The Narrows Restaurant welcomes you to water front dining in a casual atmosphere. The Narrows Restaurant brings the Eastern Shore’s unique sights and sounds to each of its guests. Traditional oyster, clam and crab workboats ply the waters of Kent Narrows daily among flocks of ducks, swans and migrating geese. Watermen unload and cull their catches on nearby docks in the time-honored patterns of the Shore. In contrast, sleek and fashionable sail and power boats cut through Kent Narrows on their way to ports throughout the bay. Brilliant sunsets are an added bonus for evening diners. The Narrow’s menu is a mix of traditional and local favorites with newer creative items. Serving the Eastern Shore for Over 30 Years. The restaurant was built and opened in 1983 by Bo and Brenda Hardesty, who previously owned restaurants in downtown Annapolis, Md. Diners enjoy stunning views of picturesque backdrops while enjoying meals made from the finest and freshest ingredients available. General Manager Jerry Dammeyer has been a fixture at The Narrows Restaurant since the opening in 1983. He carefully chooses the wine list to compliment the menu. Our jumbo lump Maryland style crab cakes and cream of crab soup have been served from coast to coast. Jerry and the staff have prepared meals in California for several winemakers including Joseph Phelps and the Murphy family of Murphy-Goode Winery. You can have our these award winning crab cakes, along with crab balls and crab soups shipped anywhere in the continental U.S. through our exclusive partner Foody Direct. The Narrows Restaurant Also Offers A Variety of Group Party Options. If you are planning a business meeting, rehearsal dinner, bridal shower, retirement party or any other group outing we can help create the event. 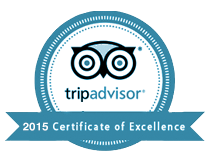 Reservations and custom gift certificates in any amount are available by calling 410-827-8113. Bringing the Eastern Shore’s Unique Sights and Sounds To Each of Its Guests.